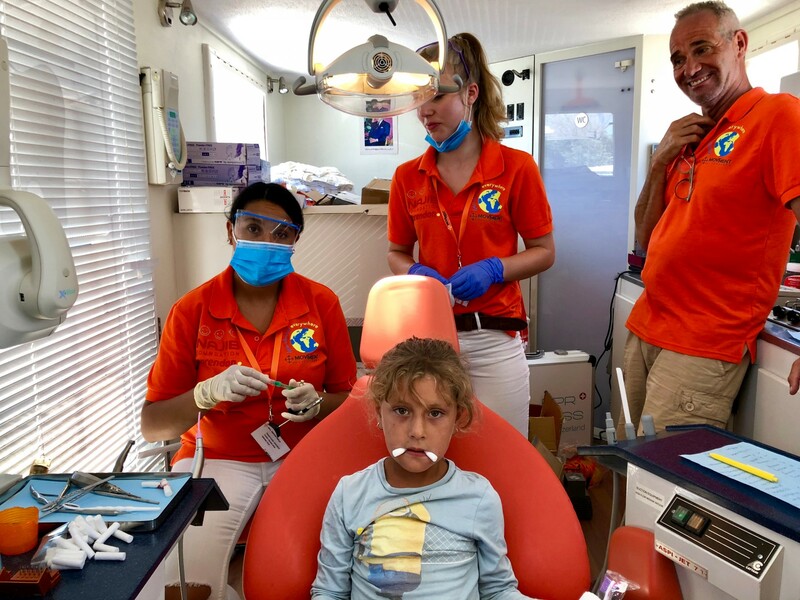 In the Summer of 2018, a team of 2 dentists and 5 assistants came to Kara Tepe with the mission to teach the children residing on campUS how to take care of their dental hygiene. They also helped those in need of dental care. In a span of 10 days, over 500 children were given dental treatment. They also got taught how to brush their teeth! This kind of project really excites us as it has a direct impact on a larger scale of people, especially children! Does your company want to donate their time as the dentists did? Please send an email to nina@movementontheground.com for more information on how your help can possibly be made into action.